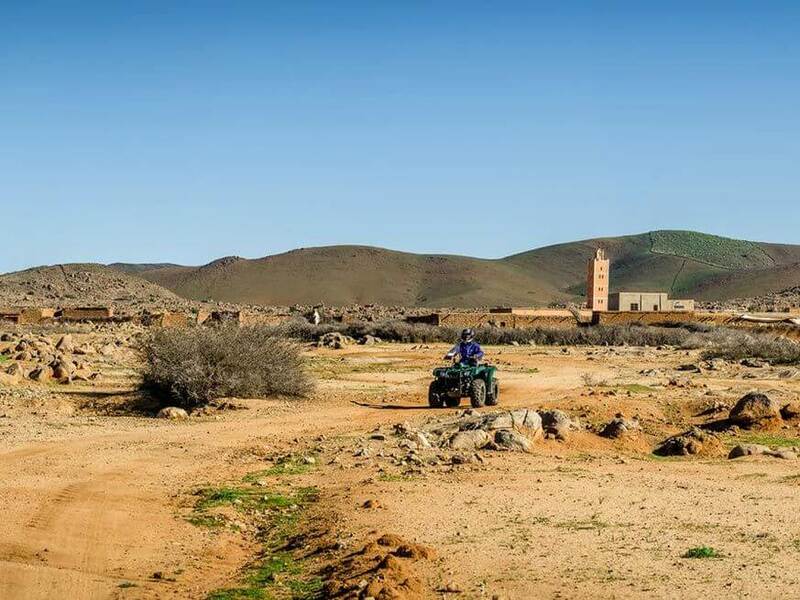 Tea break at a traditional Berber village. 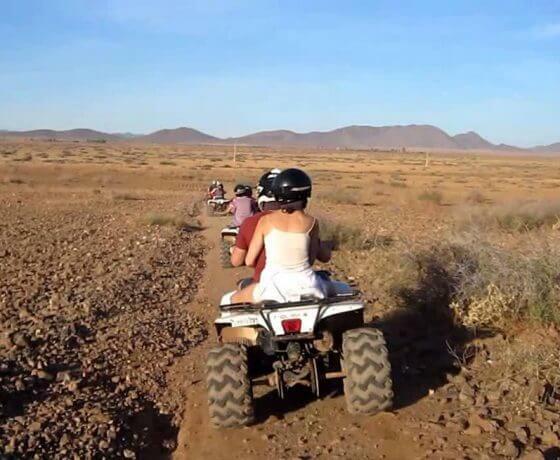 Challenge your self to a Quad Bike drive in the desert. 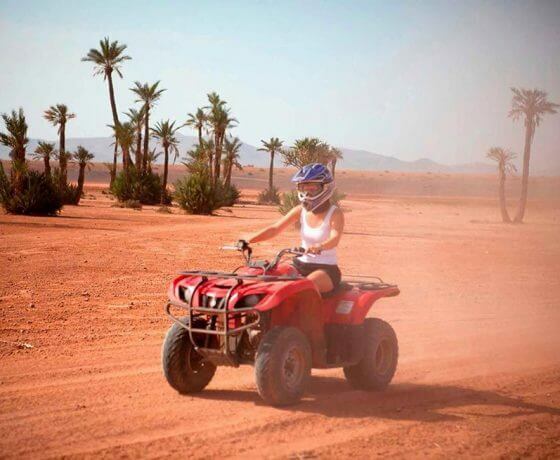 Enjoy fun drive and discover the unchanged local lifestyle. Child age from 6 till 14: Riding with an adult 50% discount. 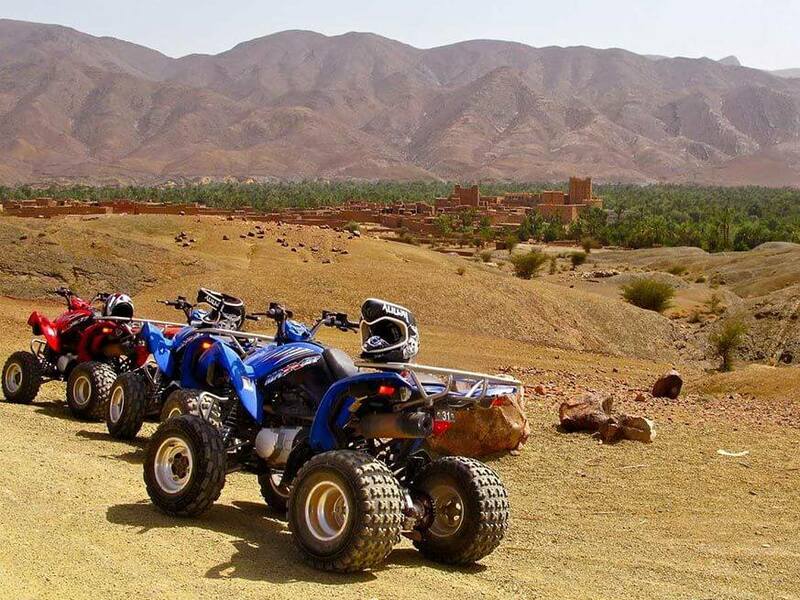 The high-octane adventure of quad biking Marrakech in the desert is a must for any thrill seeker hoping to get to see a part of Marrakech few manage to do on their holiday. 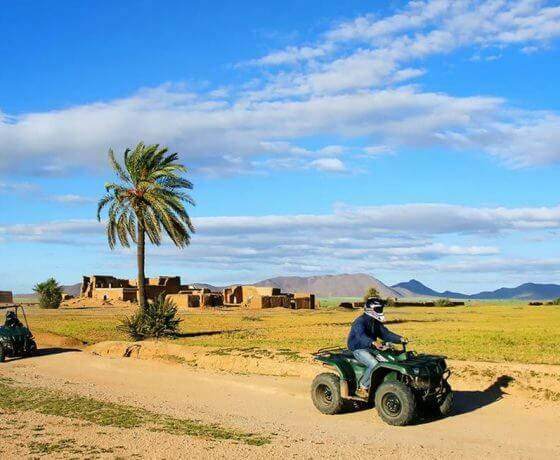 There are morning and afternoon sessions which will have our driver collect you from your hotel in Marrakech and drive you out to the Palm Groves district, around half an hour away from the city. Morning departure from your hotel is before 9.00 am and our driver will take you back to the city around 12.30 pm. The afternoon sessions leave before 2.00 pm and return around 5.30 pm. 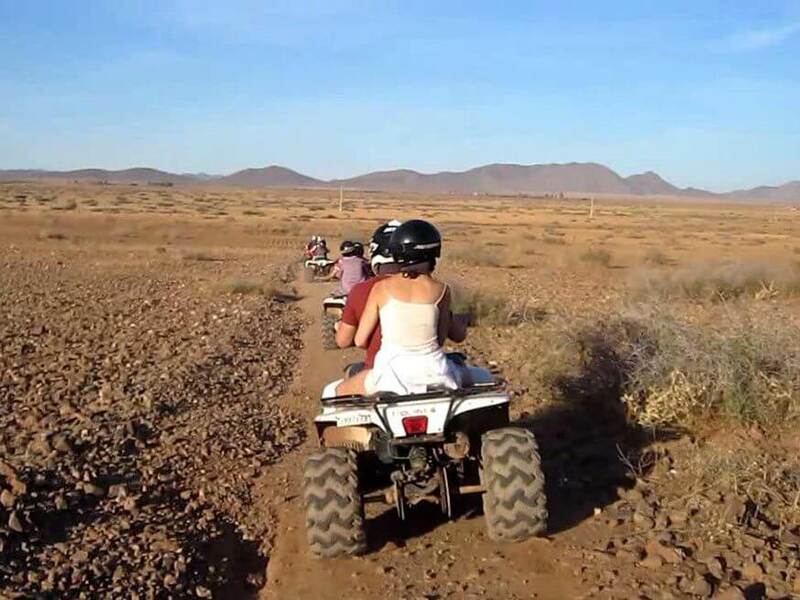 We will supply the quad bike (of course), a helmet and a guide. You should come prepared with the correct footwear: no open-toed sandals or flip flops. A pair of sneakers should be sufficient, as long as they are closed. 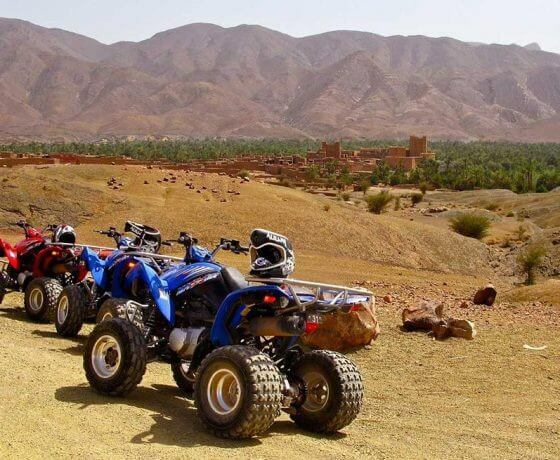 You may wish to bring something warm if quad biking in the winter months. 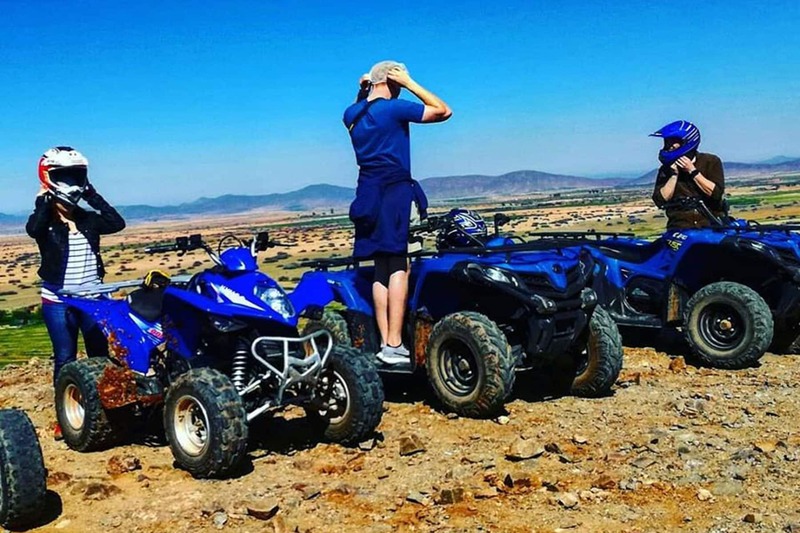 Our quad biking Marrakech half day includes a ride around the palm grove desert area, just outside the city of Marrakech. 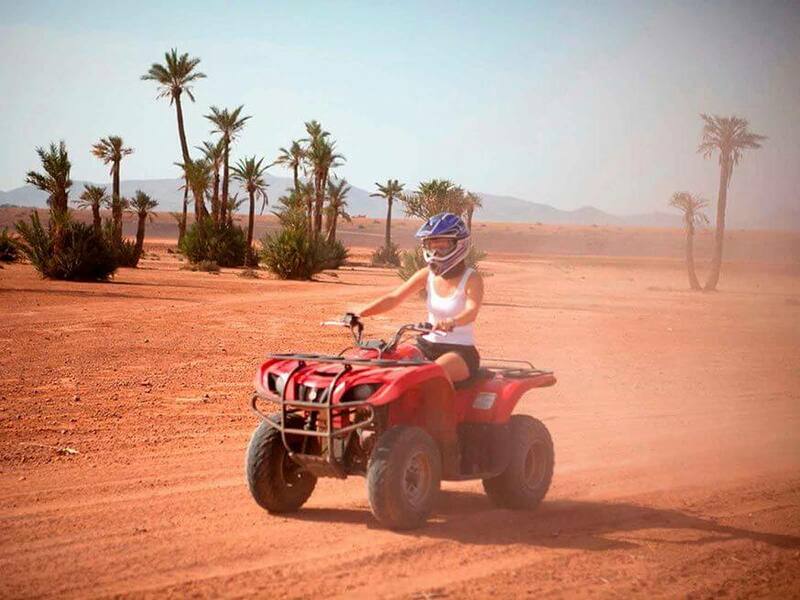 There will be hills, sand dunes and thousands of beautiful palm trees springing up all over the desert region like the true oasis they represent. 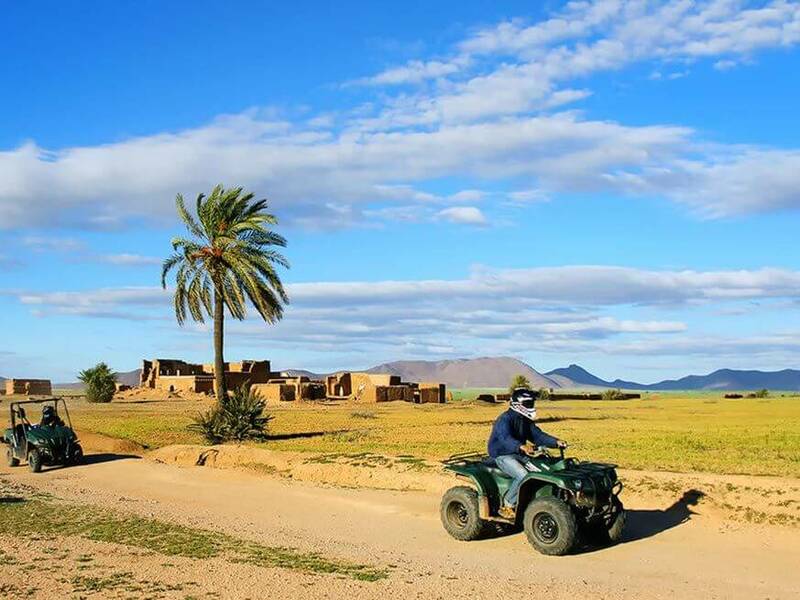 At the half-way point on our quad bike adventure we will stop off at a Berber village. 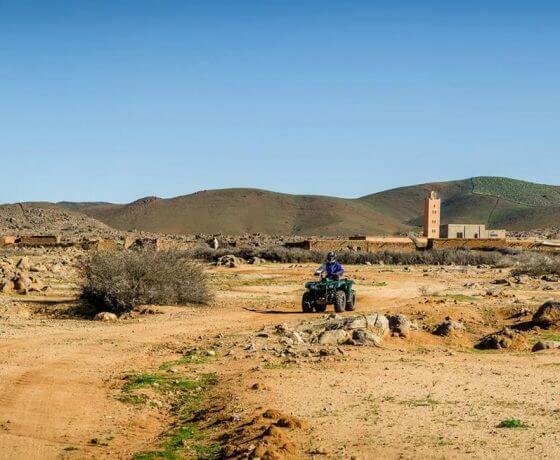 Here we will enjoy the hospitality of a local Berber villager, who will serve us some refreshing mint tea. You will see just how the centuries gone by have done little to change the lifestyle of the local people around here. The landscape and villages also reflect as similar setting that seems to be frozen in time. 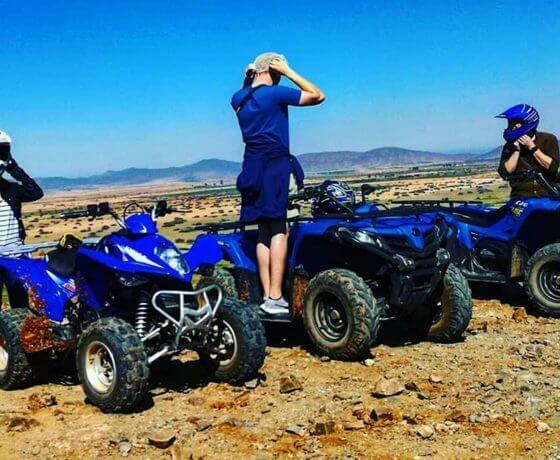 Before we head back to your accommodation our guide will take pictures with you on the quad bikes.